You know how the NRA and other gundamentalists love to trot out their reality challenged assertion “only a good guy with a gun can stop a bad guy with a gun”? NRA president Wayne LaPierre or NRA spokesperson Dana Loesch are almost guaranteed to be right out there in front of cameras on those blue moon occasions when a gunman stops another gunman. They even love to get out there when an incident of gun violence happens so that– like vultures–they can take advantage of a tragedy to push people to buy more guns. I have an extraordinarily difficult time believing that LaPierre and Loesch are ignorant of the fact that more guns equals more (not less) crime. That evidence has been out there for some time, but of course, to make that knowledge widespread would likely impact the sales of firearms. And the NRA doesn’t want that. Another thing the NRA doesn’t want is for the little bubble they live in to burst when reality strikes. Like it did today, when a gunman shot and killed multiple people at a Waffle House in Nashville, TN, only to be disarmed by an UNarmed man. They were likely just as unhappy to hear that as they were to hear that the good guy–James Shaw, Jr–is Black (among the many boogeymen the NRA use as part of their fear mongering tactics are African-Americans). During a press conference Friday, NRA Executive Vice President Wayne LaPierre says these people might still be alive today if school personnel were armed when 20-year-old gunman Adam Lanza entered Sandy Hook Elementary School. 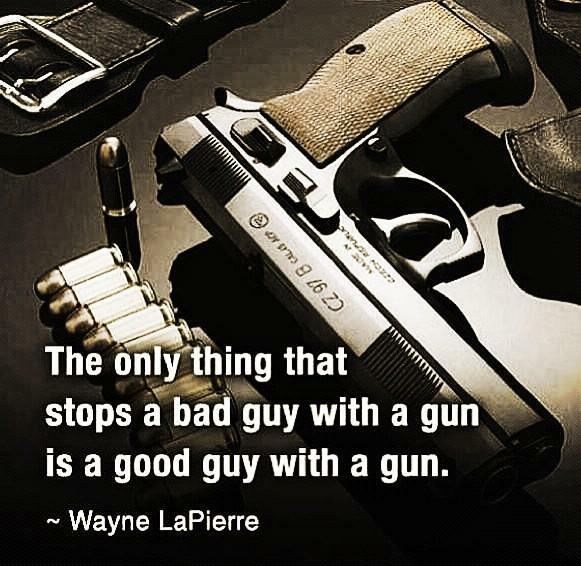 “The only way to stop a bad guy with a gun is with a good guy with a gun,” LaPierre said. LaPierre says that the lack of mental health reform and the prevalence of violent video games and movies can lead to these types of tragedies. “In a race to the bottom, many conglomerates compete with one another to shock, violate, and offend every standard of civilized society, by bringing an even more toxic mix of reckless behavior and criminal cruelty right into our homes,” LaPierre said. He is calling on Congress to put armed security in every school across the nation. “When it comes to our most beloved and vulnerable members of the American family – our children – we as a society leave them utterly defenseless,” LaPierre said, adding that doing this will immediately make America’s schools safer. “We must act now,” LaPierre stated. 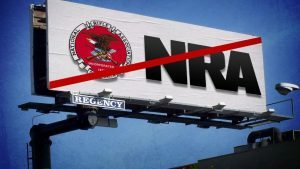 LaPierre announced that former Congressman Asa Hutchinson will be the national director for the NRA’s National School Shield Emergency Response Program. It will be a security program offered to schools across the U.S. In a world where citizens are highly trained in the use of firearms, have lightning-fast reflexes, and aren’t distracted by the sounds of gunfire, screaming, and all-round chaos, perhaps LaPierre’s advice might have some merit (I wouldn’t want to live in such a world though bc guns don’t make me feel safe). In that world, a “good guy with a gun” (interesting that it’s not a “good person with a gun”; oh, but silly me, I forgot no woman in the United States owns a gun…it’s a man’s hobby) is perfectly capable of eliminating the threat and reducing casualties. Is that the case in the real world though? Here’s how these incidents ended. More than half (56 percent) were terminated by the shooter who either took his or her own life, simply stopped shooting or fled the scene. Another 26 percent ended in the traditional Hollywood-like fashion with the shooter and law enforcement personnel exchanging gunfire and in nearly all of those situations the shooter ended up either wounded or dead. In 13 percent of the shooting situations, the shooter was successfully disarmed and restrained by unarmed civilians, and in 3 percent of the incidents the shooter was confronted by armed civilians, of whom four were on-duty security guards and one person was just your average “good guy” who happened to be carrying a gun. The fact that 21 of these shooting situations were terminated by unarmed civilians as opposed to a single incident that ended because a good guy had a gun might come as a big surprise to the NRA, but for those of us who try to engage in the gun debate by issuing statements based on facts, this finding is consistent with other evidence that the pro-gun community chooses to ignore. For example, in 2005 Gary Kleck published a study funded by the Department of Justice which showed that persons who resisted assaults by running away or calling the police had a better chance of escaping injury than if they resisted the assault with a gun. This is the same Gary Kleck whose 1994 paper claiming that millions of Americans thwart crimes each year with guns is still cited by the NRA as its gospel for justifying civilian armed defense. You’d think the NRA would have some evidence to back up their assertion about the effectiveness of a good guy with a gun during a shootout, but if they did, the FBI report ought to have found a few such examples. 1 case is hardly evidence that arming everyone is the only (or most effective) way to stop the bad guys. Where are the hundreds…the thousands of examples that show that LaPierre’s idea has merit? Perhaps a simulated shooting rampage could help show how effective “good guys with a gun” can be? A group called The Truth About Guns organized a simulation of last week’s terrorist attack in Paris. They hoped to learn how things may have played out differently at Charlie Hebdo, or any other mass shooting. Volunteers took turns on a set designed to look like the offices of the French satirical weekly magazine. But unlike the terrorist attack that killed 12 people, volunteers played the role of armed civilian. “He started shooting – and I started shooting,” said volunteer Linda Cruz. Time and time again, the armed civilian “dies” – shot by a round that marks him or her with paint. In only two cases volunteers were able to take out one of two gunmen in the process. “Still got killed but did better than I thought I would,” said father of four, Parks Matthew. He was curious to see what protective instincts may kick in. “If I’m in a movie theater and someone pulls a gun, what am I going to do? I know now I’m not gonna just fall on my kids and protect them, I need to advance on the threat,” said Matthew. Twelve volunteers participated in the exercise. Only one survived after running away. No one was able to take out both shooters. It turns out that a “good guy with a gun” isn’t terribly effective at eliminating the threat and reducing (or preventing) casualties. Hell, more people “died”. And that simulation was under controlled conditions. Under uncontrolled circumstances, gundamentalists like Wayne LaPierre would have us believe that the “good guys” are somehow magically able to produce better results? That’s some Hollywood-style-fictional-shootout-fantasy nonsense right there.